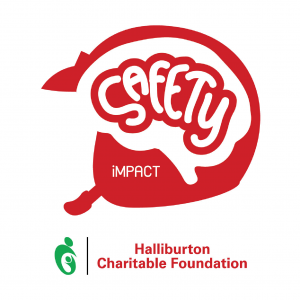 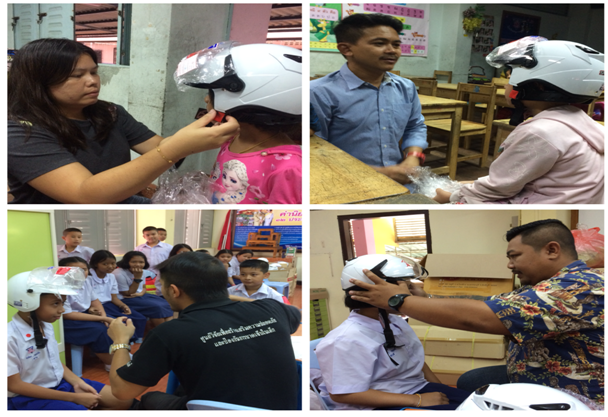 CSIP together with volunteers from Halliburton and the school measured individual student’s head in order to adjust helmet’s inner pad fit into their heads as much as possible. 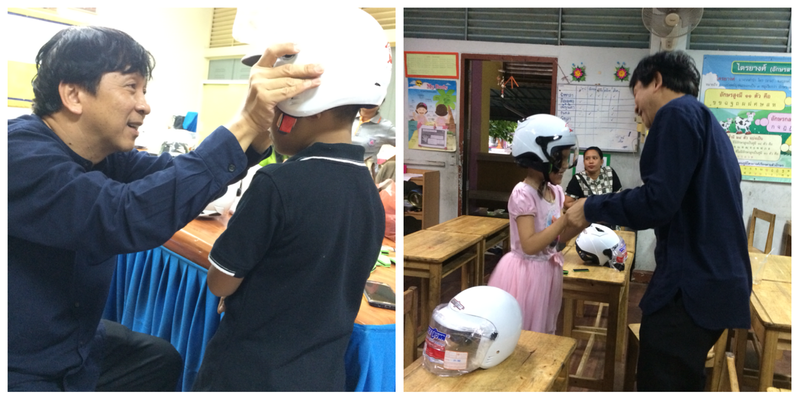 It can be said that this new standard helmet for children on the motorbike was adapt from Bike Helmet which assembles with accessories for adjusting to fit into each individual head. 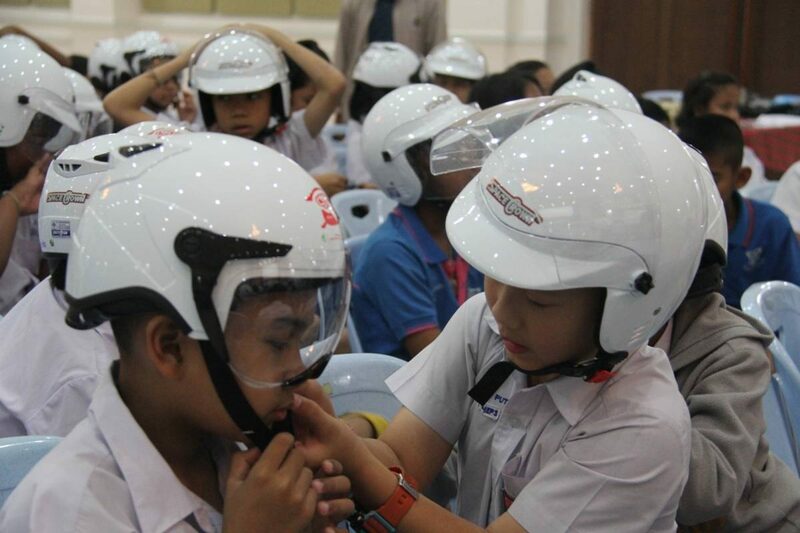 Some accessories enable helmet more fitted and compatible to children head. 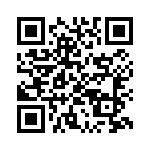 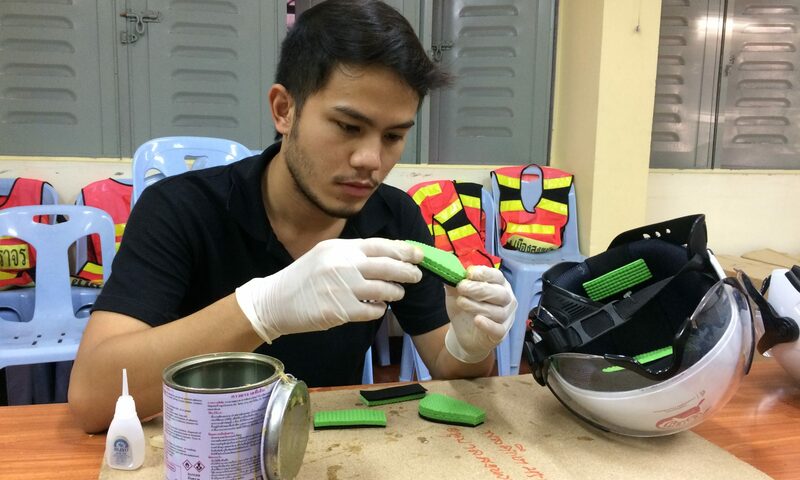 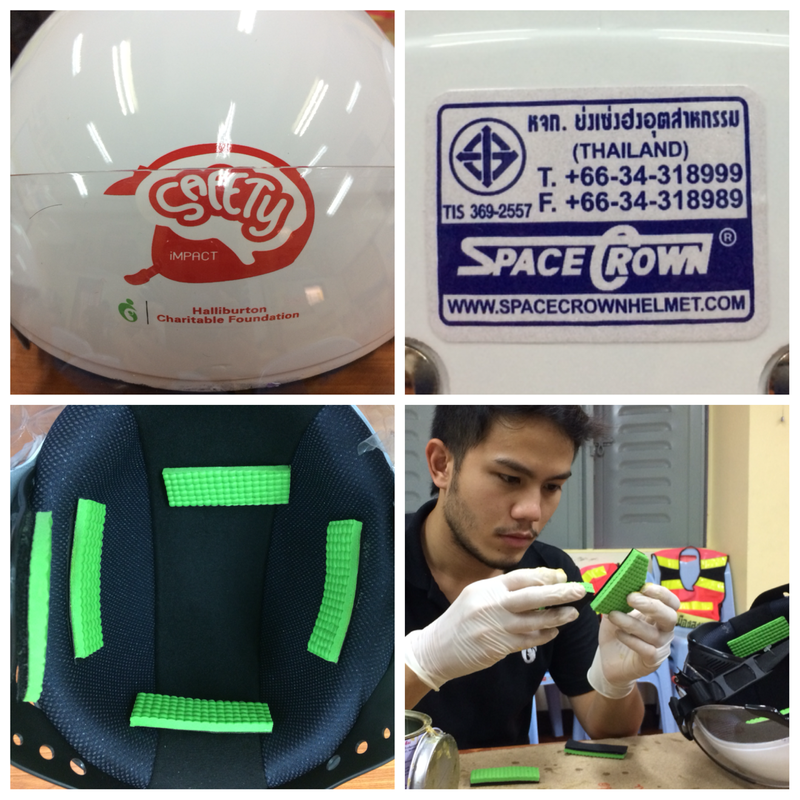 CSIP is on the move to encourage helmet manufactures in Thailand to assemble all major accessories into helmet.